Once upon a time, people believed that compact fluorescent lamps (CFLs) would replace traditional lights and become the future of energy-efficient household lighting. At least, they did for the 10-20 years before LEDs hit the market. With LEDs providing over 25,000 hours of light on minimal energy, you may be wondering: what does the future hold for CFLs? Do CFLs still have a place in your home, or should you switch to LEDs before fluorescent lights join incandescents on the EISA chopping block? By now, you may have seen many articles highlighting the superiority of LEDs over CFLs, yet CFLs continue to thrive on the market. Truth is, there are many reasons CFLs will remain relevant for years to come. Let's explore a few reasons. One big reason CFLs have a bright future is because they have a shorter ROI (Return of Investment) than LEDs. While LEDs save much more money in the long run, CFLs are currently significantly cheaper up front and have a shorter payback period. Consider the following chart comparing the average cost, energy usage, and life span of a typical incandescent, CFL, and LED light bulb. As you can see, CFLs offer a price range closer to incandescent lights with a performance closer to LED lights. As long as household LED bulbs continue to cost upwards of $7 a lamp, CFLs are able pay back their initial cost in energy savings well before LEDs. While not the optimal choice, CFLs remain a reasonable way to save both money and energy. Most people like to stick with what they know. CFLs have been around long enough that people have become comfortable with them, and since fluorescent technology has stopped progressing, consumers know what they can expect. Meanwhile, LED technology is still developing, causing consumers to shy away from LED until standards are more solidified. While going LED now can (and will) result in great energy savings, improvements down the road could yield greater savings and even more benefits. For example, LEDs are now being created to look more like incandescent lights than ever before, with clear bulb faces and interiors that show diodes which resemble filaments. Not only are these bulbs more aesthetically pleasing, but they are also even more efficient than previous LED models. With LEDs, there are still many uncharted possibilities. Although this is ultimately a good thing, it may be more prudent to hold off for now, as buying an LED today might mean missing out on a better one tomorrow. Some bulb shapes are easier to find with CFL technology. For example, if your 4 Pin Plug-In CFL bulb burns out, it’s less difficult to find a replacement CFL than it is to find a suitable LED option. Moreover, if or when you do, your choices will be limited as many trusted brands are not producing them yet. 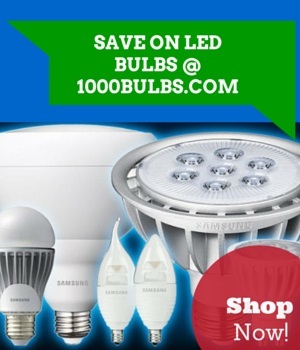 The market is currently flooded with a wide variety of plug-in base CFLs, not plug-in base LEDs. However, this will one day change as LEDs continue to be developed in more shapes and sizes. All things considered, it may be wiser to purchase a CFL now and an LED later. By the time your CFL burns out, LEDs will be cheaper, contain improved technology, and be manufactured in more shapes and sizes. That being said, although CFLs remain a viable option in the not-so-distant future, they will eventually become a thing of the past once LEDs gain public confidence. The question now is how long this will this take. Keep close tabs on LED pricing and developments to see what the future holds for yourself. Stay tuned for further updates and to share your thoughts with us on Facebook, Twitter,Google Plus, LinkedIn, or Pinterest!